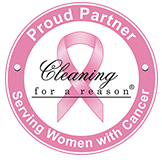 “I’m absolutely thrilled with my cleaning! For this first cleaning, I met the cleaners at my house so that I could give them a key for future cleanings, and all four women were just lovely–very nice and warm. I love that my office/basement feels so refreshed! The whole house smells so good and is just immaculate!” – Shaunee C.
Whether you prefer to golf, compete in the Woodbridge Road Race, enjoy a meal at a local Woodbridge restaurant, or relax at home with friends and family, Belle Home can help you free up your time so you can enjoy doing the things you like to do. 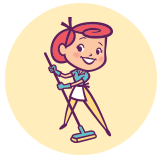 We are committed to providing you with cheerful, efficient, personalized Woodbridge maid service. 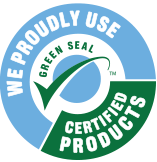 We continuously improve ourselves by researching and using the latest technological and cleaning innovations, raising the bar on our attention to the details, giving back to the communities we work in, and always looking for ways that we can give you a “Wow!” experience. 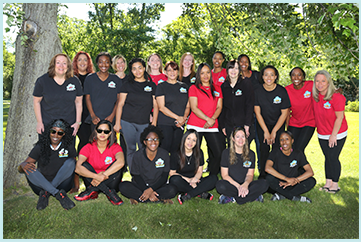 Learn why Belle Home Housecleaning is your best choice for reliable, eco-friendly housecleaning, and why so many homeowners and renters have relied on our dependable, professional Woodbridge housekeeping services since 2005. Providing house cleaning Woodbridge CT services to 06525. 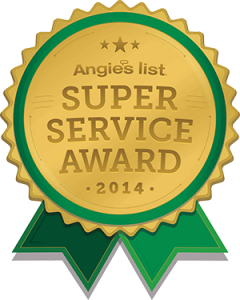 We also provide services to areas such as Orange CT, Ansonia CT, and North Haven CT.